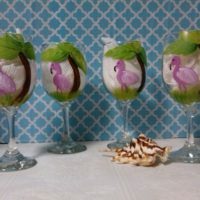 These pint sized pastel painted mason jars are perfect for a country wedding or any place that needs a touch of cottage charm. Place them on a sunny window sill, shelf or tablescape filled with fresh flowers or use them as candle holders. 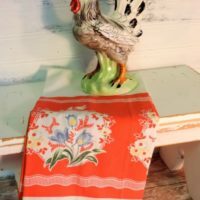 These pint sized pretties were featured on HGTV’s Beachfront Bargain Hunt Renovation. 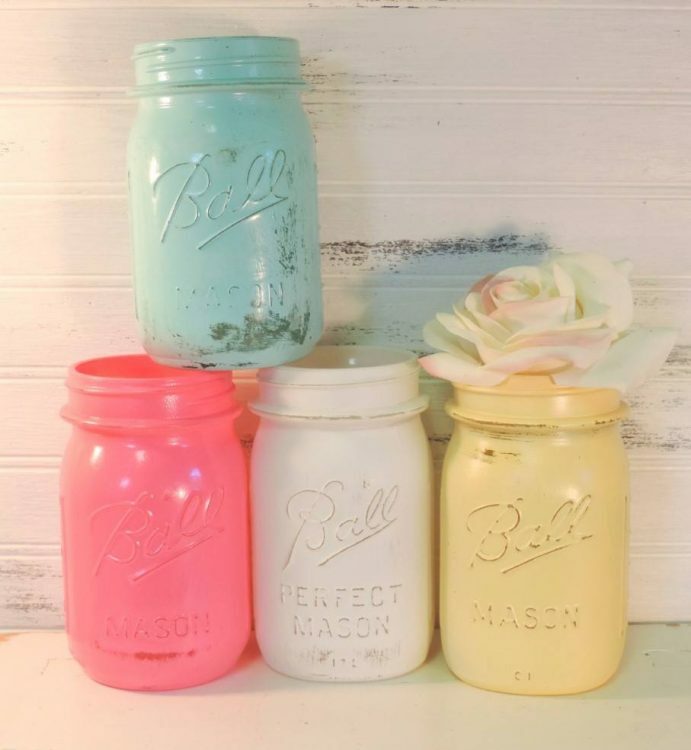 Perfect for decorating for Spring, Summer or any time of year these pint sized painted mason jars have been done in pastel pink, aqua blue, yellow and white. They have been distressed to let the details and character show through. 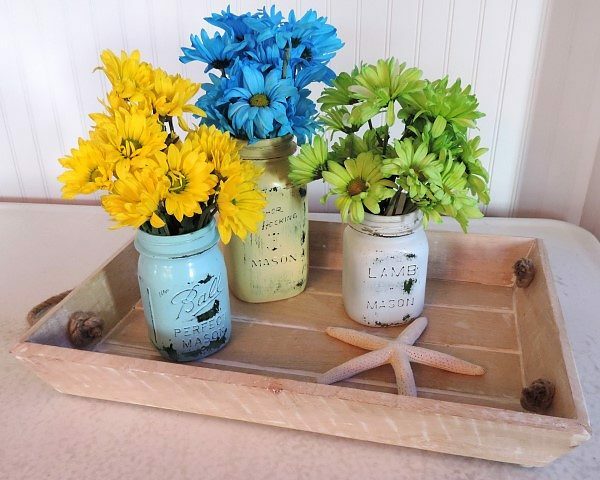 Place them on a sunny window sill, shelf or tablescape filled with fresh flowers or use them as candle holders. 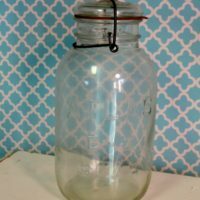 These “shabby chic” painted mason jars would also look so pretty at a Spring wedding. 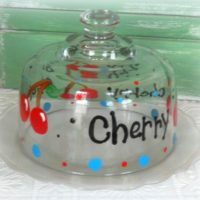 Each decorative mason jar measures 5 1/2″ tall.